These people do not believe in lok tantra (democracy) but loot tantra (ideology of looting),” Yogi added.“Every goonda was close to the previous government. They are protesting for the sake of protest.”“In logon (SP and BSP) ne pradesh ko loota hi nahi...noch dala. 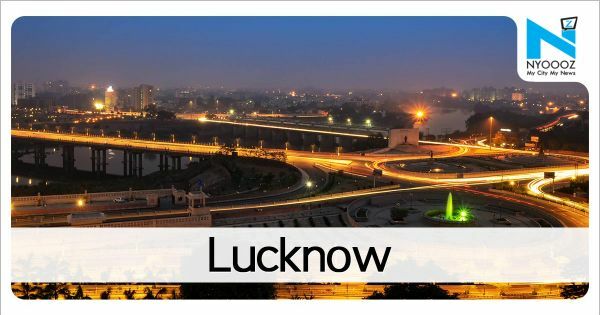 LUCKNOW: Targeting the opposition, especially, Samajwadi Party , chief minister Yogi Adityanath said on Monday that despite being an atheist, socialist ideologue Ram Manohar Lohia had also said that Ram, Shiva and Krishna were of utmost importance in the country but his followers today do not follow his ideals.Speaking in the assembly, Yogi said, “Even though socialist ideologue Ram Manohar Lohia was an atheist but he too maintained that Ram, Shiva and Krishna were of utmost importance for this country. How can these people feel good when the state progresses. They gave the state the corridor of communal violence while we are giving it a defence corridor,” CM Yogi said, adding that BJP has changed the perception of the state not only within the country but abroad as well.“Exemplary punishment will be given to those found guilty in the hooch tragedy that claimed lives of scores of people,” he said, adding that some people were deliberately trying to vitiate the atmosphere in the state through such acts.In an apparent attack on AICC general secretary Priyanka Gandhi’s husband Robert Vadra, Yogi said that people who are falsely raising finger at Kumbh preparations seem to have forgotten about the corruption in Commonwealth Games after which some people purchased highend flats in England.